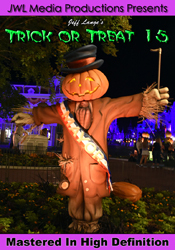 Jeff Lange takes you on a trip back in time to celebrate Epcot’s 25th Anniversary. 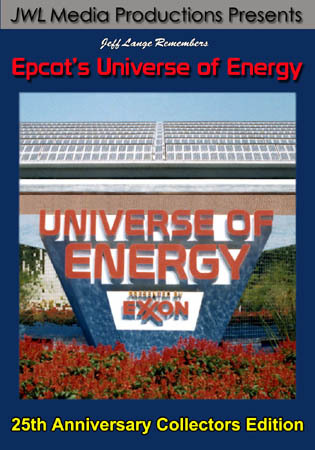 This second in a series, features the Future World opening day attraction Universe of Energy, Presented by Exxon. Step into the Exxon corporate lounge for a brief tour. The history of energy is presented on a unique ‘kinetic mosaic’ consisting of one hundred triangular units. The units rotate under computer control and are synchronized to the movie projected onto their surface. The conclusion of the pre-show features the song ‘Energy (You Make The World Go Round)’. 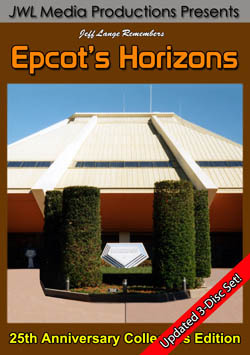 Board an Epcot Center innovation ‘The Traveling Theater’ for an exploration through the Universe of Energy. Your journey begins with a trip back to the primeval era when great reptiles roamed the land. After encountering the dramatic forces that created today’s fossil fuels, you experience how energy is produced and the search for new resources. 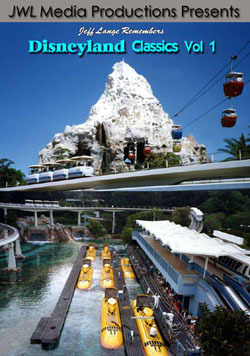 The conclusion features the song ‘Universe of Energy’. shot from a rear theater car to fully capture all the spectacle that is Epcot’s Universe of Energy. 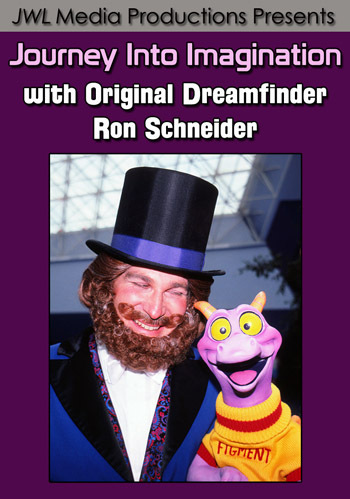 Celebrate Epcot’s 25th Anniversary year after year or experience the magic for the first time by purchasing “Jeff Lange Remembers: Epcot’s Universe of Energy“.